« Camel Cycling London to Paris in 24hrs ? Humphrey hoping to join the team! 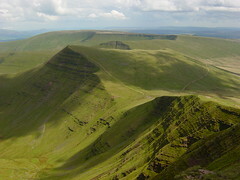 I’ll be joining the "The Thames Mountaineers" to scale Cribyn this weekend. WaterAid is aiming to get a team up all 110 Corbetts in England and Wales this weekend (see WaterAid Corbett Challenge for details).